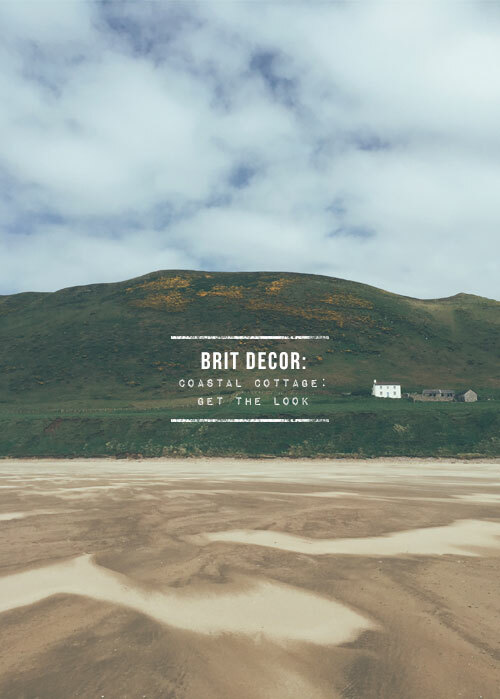 Last but certainly not least - this is the final in my three-part series looking at the stunning Gower coastline in Wales. 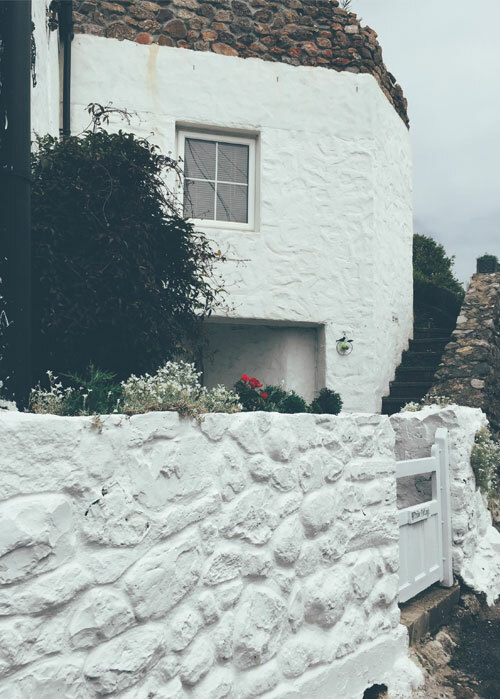 These cuter than cute chocolate box cottages pepper much of the rural landscape in Wales, with their pristine whitewashed exteriors competing more than adequately with the stunningly rugged landscape. 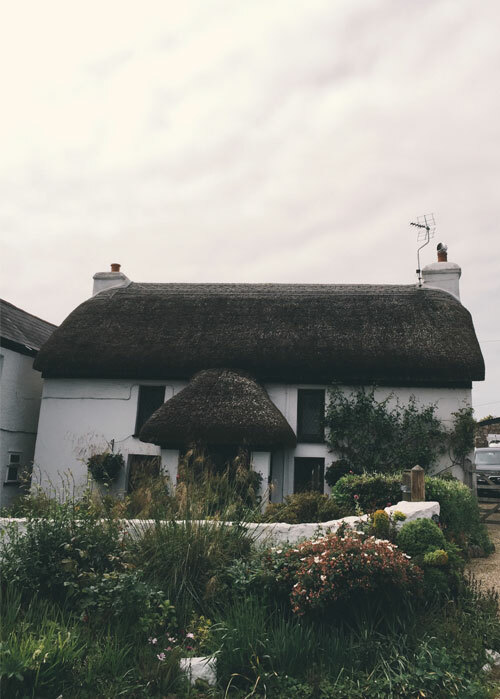 At times, especially during those sunnier moments, I found myself transported to the sugar cubed houses of the Greek islands with their own variation on whitewash. 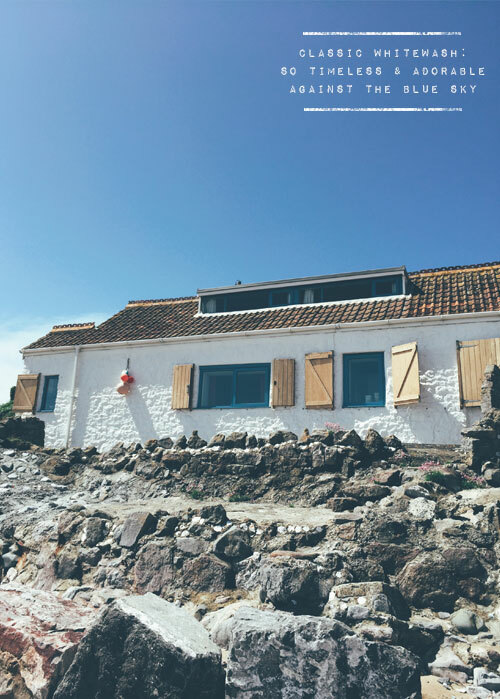 One of my favourite coastal homes spotted during our trip was a tiny former fisherman's cottage in Port Enyon, which literally faced out onto the beach with just a scattering of terraced rocks for protection from the elements (images 2 & 4 above'). However, I guess part of the charm and appeal of these buildings is their exposure to nature and the weathered-look this inevitably creates. 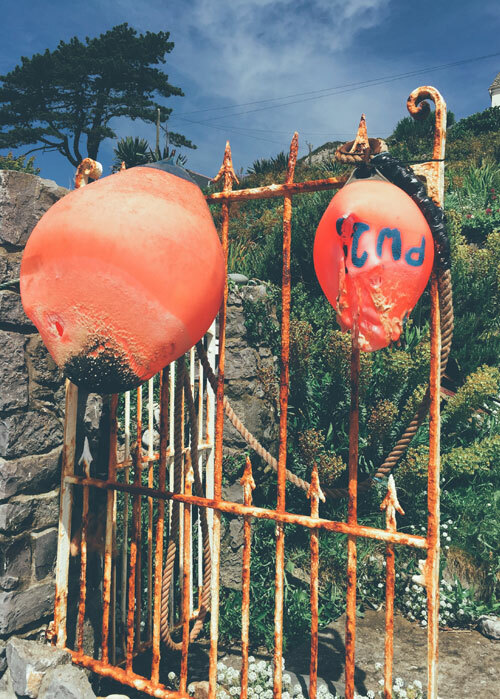 So what's the key element to coastal living style? This has to be simplicity, life uncomplicated, and a core relaxed feel. Simple pastels are the order of the day for that soothing and faded look, with an abundance of blues and whites. For a more contemporary vibe, consider introducing some stripes and contrasting geo patterns like the eye-catchingingly good Mariska Meijers Bold Cubism wallpaper £69 Amara (no.1 'below') and the Linum Camargue cushion £39 Salcombe Trading (No.3 'below'). For a lighter and more natural look, I have chosen Luna Larch white oil lye wooden flooring from Element 7 (No.7 'below) which provides the perfect neutral backdrop. The beautifully understated elegance of the Pencil Salon tile £6.80 from Bert & May (no.8) delivers on the simple, rustic and contemporary elements in one hit. 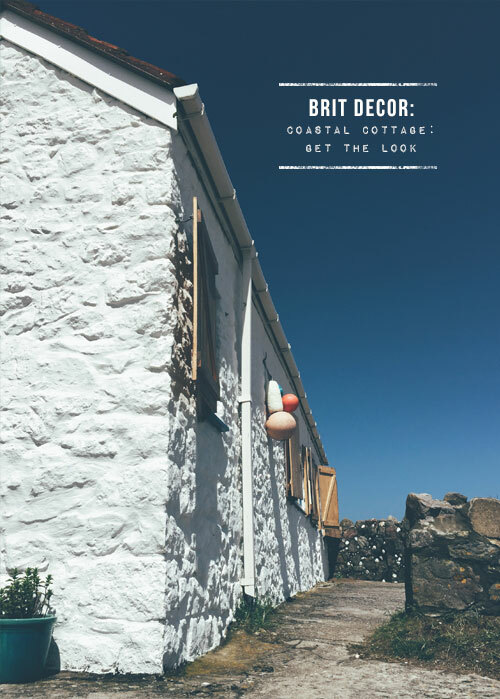 In terms of paint colours, I have considered a coastal contrast with the darker stormy Juniper Ash 115 (No.5 'below') absolute emulsion, against the lighter dreamy pastel Gauze 106 (No.6) absolute emulsion - both paints start from £18.75 at Little Greene. 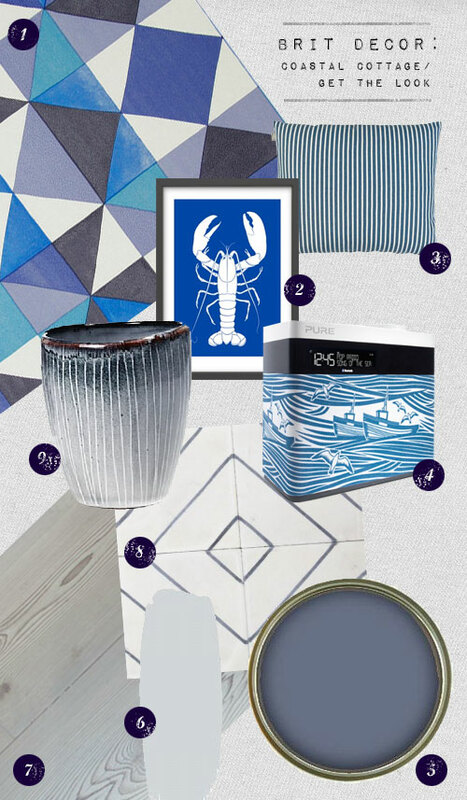 Of course, no home is complete without the all-important accessories; 2/ Blue Lobster print £39 Clare Loves 4/ Whitby Pop Maxi DAB portable digital radio £109 Mini Moderns and 9/ Nordic Sea stoneware mug £6.00 House Envy. 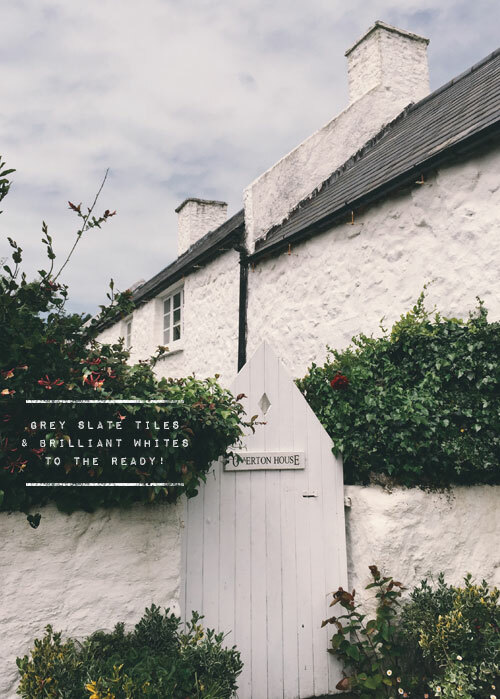 I can't wait to move to the coast one day, I love the idea of being by the sea and can revel in the coastal interior look with whites, blues, sun bleached woods and quirky nautical prints!